No matter what you call them these are the "Bestest Kine Slippahs!" Unique, super-soft and comfortable with our original TikiToes designs stamped into each sole along with the Hawaiian Chain of Islands molded onto every strap. These are truely the soul of Hawaii! 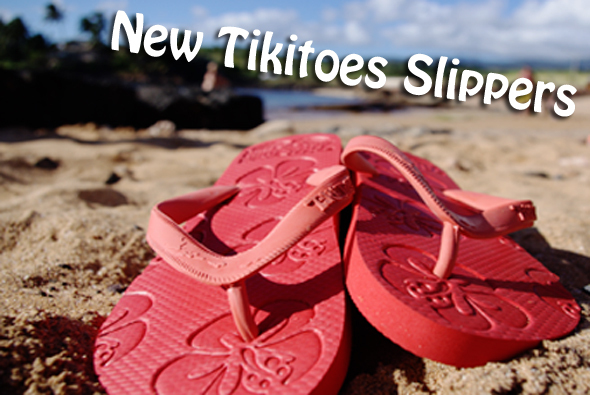 Happy Hibiscus Slippahs are available in colors "Lava Rock Black" and "Coco Brown". Available in adult sizes 6-12.